Earlier this year Ford Customer Service Division launched Omnicraft, an all-new brand of replacement parts for all makes of non-Ford vehicles. Non-Ford customers now are able to purchase parts and have their vehicles serviced at Ford dealerships. As reported by New Yourk Post, the billionaire investor is looking to acquire thousands of auto-repair shops, with the idea that they will buy products directly from his own distributor, AutoPlus, instead of the national car-parts chains. AutoPlus, in turn, will buy its parts from Icahn-owned Federal-Mogul and other manufacturers. Icahn’s pitch is that the new arrangement will greatly increase the profits of the repair shops that install auto parts, sources said. Icahn on Friday announced he will acquire Precision Auto Care’s 250 service locations. With that deal, Icahn Automotive Group said Friday it will now control more than 1,000 auto-repair shops. Icahn’s chain will offer warranties to customers, the source said, generating repeat business. 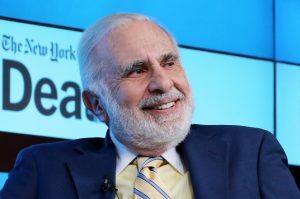 “Vendors are going to figure out ways to work with Icahn directly [through his distributor],” the source said. Presently, national auto parts chains pay manufacturers a roughly 20 percent mark-up on their products. The retailers typically double the prices when selling to installers, a manufacturer told The Post. Icahn, meanwhile, plans to sell parts to repair shops for much lower margins, sources said. AutoZone and its peers presently operate at roughly 50 percent profit margins. In another threat to entrenched retailers, Amazon is aggressively growing its auto-parts business, and has begun buying parts directly from manufacturers for more than the retailers pay while selling them online for less. It is possible Amazon could partner with Icahn and supply his stores, sources said. Posted in Uncategorized and tagged aftermarket, parts, repair.